BAKU, Azerbaijan (CNS) — Catholics cannot “economize” when it comes to spending time in prayer with God and in service to other people, Pope Francis told members of Azerbaijan’s tiny Catholic community. Arriving in the predominantly Shiite Muslim nation Oct. 2 after two days in neighboring Georgia, the pope went directly from the airport to Azerbaijan’s only Catholic Church, the parish of the Immaculate Conception. Officials said about 300 people — more than half the number of Catholics in the entire country — were in the church for the Mass. Reflecting the backgrounds of members of the congregation, the prayers and readings at the Mass were in Azeri, English and Russian. The responsorial psalm, a chant in Azeri, was accompanied by the lilting tune of a tutek, a type of flute. In improvised remarks at the end of Mass, Pope Francis said some people might think he was “wasting” his time traveling so far to visit such a small community, but the first Christian community visited by the Holy Spirit — Mary and the disciples — was even smaller. 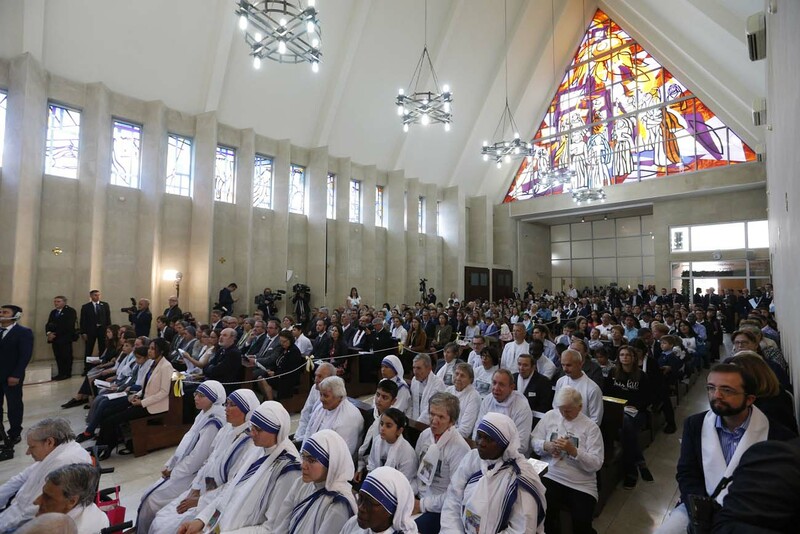 The Holy Spirit gave the disciples the courage to live and share their faith with others, the pope said, and he visited Baku to encourage the Catholic community. “Courage,” the pope told them in Italian. “Go ahead,” he said in English. 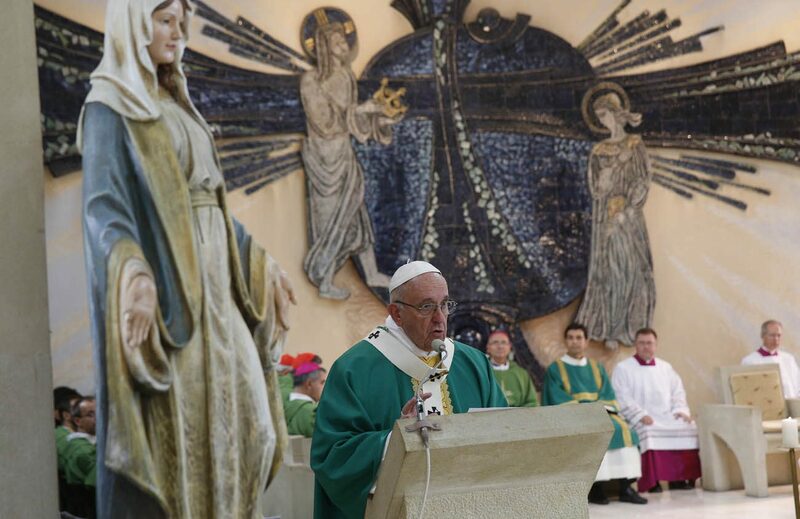 Reading his homily in Italian, Pope Francis told the parishioners that, like the threads of a traditional Azeri rug, their beauty and usefulness as a Catholic community come only from being woven together. “Stay united always, living humbly in charity and joy,” he said. Preaching on the Sunday Mass readings, the pope told them that while faith is a gift from God, it is something they must feed and nurture. If faith were only something useful for satisfying one’s own needs, it would be selfish, the pope said. Christians are called to serve others not as the price of purchasing some kind of reward from God, he said, but as an essential part of imitating Christ. “Service is thus a way of life, indeed it recapitulates the entire Christian way of life: serving God in adoration and prayer; being open and available; loving our neighbor with practical deeds; passionately working for the common good,” Pope Francis said. The other danger, he said, is a temptation to be “over active,” thinking that the more one does the more important one becomes. “In such cases service becomes a means and not an end,” because the goal is prestige and power, not selfless service.